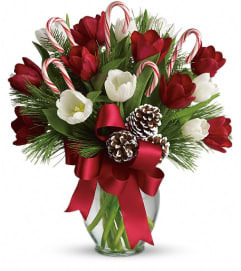 Your holiday shopping is all wrapped up with bright blooms and candy canes "gift-wrapped" in tissue and a cheerful gift box. 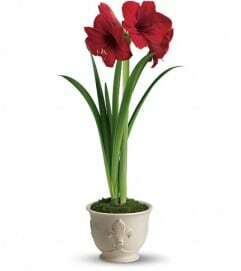 Delightfully different, and reasonably priced, it is the perfect present. 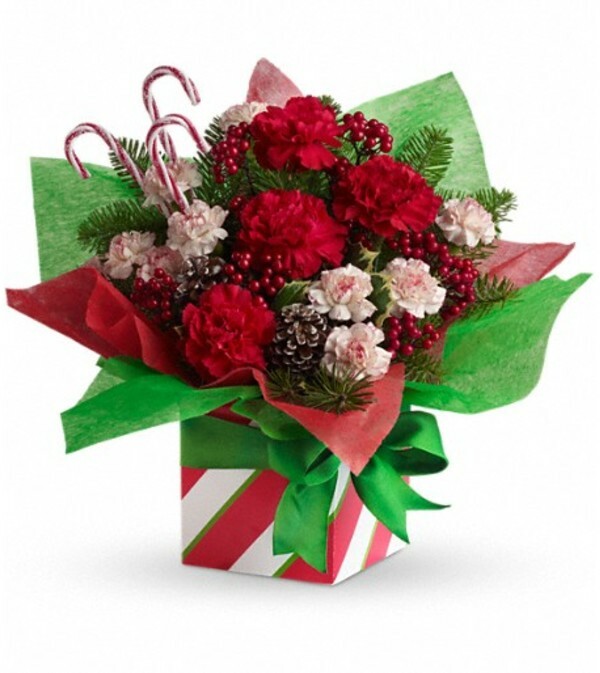 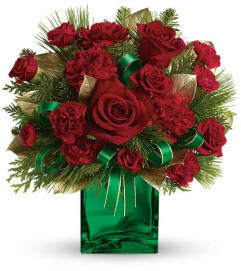 The sprightly bouquet includes red carnations miniature peppermint carnations, noble fir and holly accented with candy canes. Delivered in a cheerful striped gift box packed with red and green tissue paper and set off with a green bow.